Ben Clanton's Squiggles and Scribbles: DRAGONS! 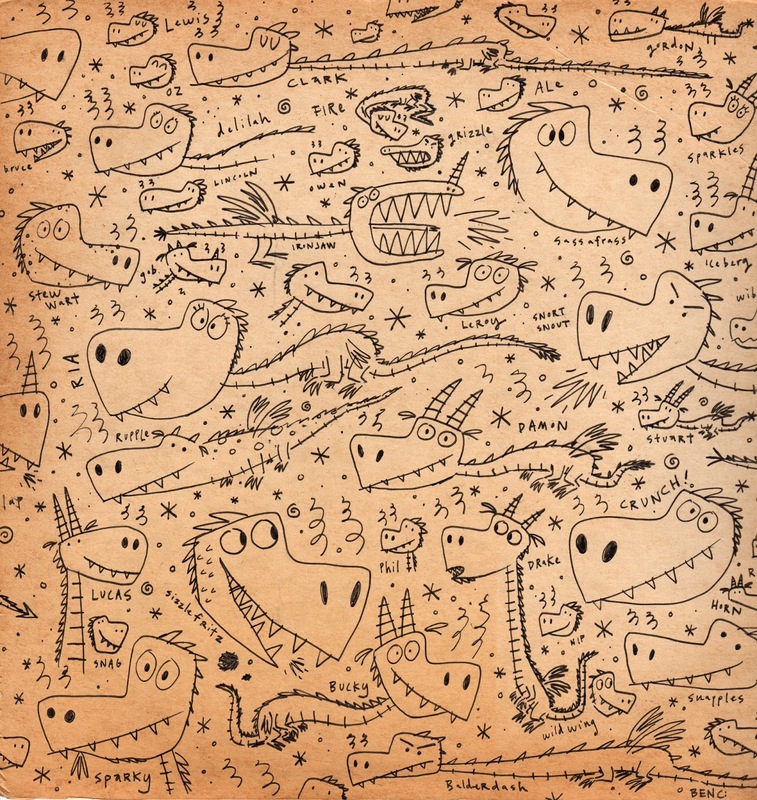 Drew these dragons on the back of a record album when driving up to Porland, ME today. Trying to name a dragon in a book I'm working on. It is a very friendly and playful sort of dragon. Suggestions for a name?